Wishing you all a very Happy, Prosperous & Safe Diwali! 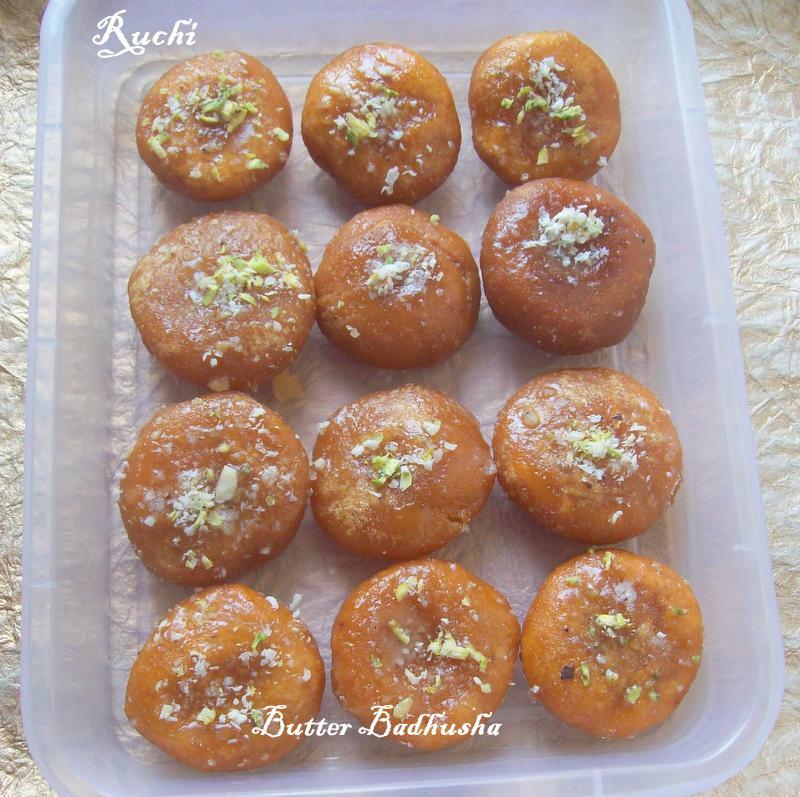 Badusha is a south Indian famous sweet dish and mainly prepared during diwali and few other festivals and weddings. It has a layered texture and is coated with sugar syrup. Pretty easy to make and tastes great. My daughter loved it very much.For this diwali I made Badhusha and Jangri. 1. Sieve the flour and cooking soda in a mixing bowl. 2.Take a wider bowl, put Maida Add Kesari color,Saffron,Cardamom powder and Add 1tbsp sugar powder to it and mix till well combined. Finally put the butter and mix well in hands. 3.Sprinkle little water at a time and make soft tight dough. 4.Make a small ball and while making balls, dont allow it get cracks in out sides. 5.Flat the balls in palm & press a little in middle, using our thumb and deep fry them in very low heat. 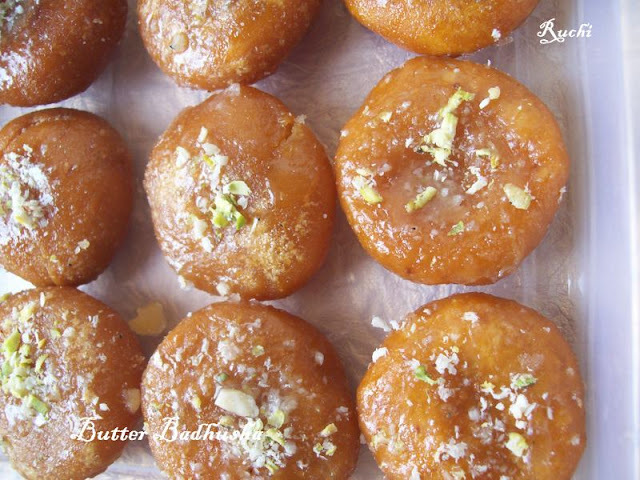 6.Flip them and cook both the sides.The badusha should turn golden very slowly. 7.Take a wider Kadai, Boil sugar with 3/4 cup of water in a pan to a syrup of single string consistency.Addsaffron string and edible camphor in sugar syrup. 9.Once it coated in all sides, transfer in to plates and Garnish the badusha with saffron strands, nuts or coconut before the sugar syrup dries. Delicious Badusha is ready. looks super delicious and perfect.. Awesome !! Prefect badushas akka,Love to have one rite now. Thank you for lovely comments. we can fry only in oil?or can we use ghee too?will it make difference?